It all started following my A-levels and a brief spell in retail, as I decided to embark on a legal secretarial course at Enfield College. Although I struggled with Pitman shorthand, I very much enjoyed the trips to The Old Bailey and local County Court. I left Enfield College a far more able and organised individual, with a very high typing speed (my forte) as well as a legal secretarial qualification enabling me to secure employment. My first job was at ICI Millbank working in the in-house Legal Department. I well remember entering through the huge and incredibly impressive bronzed doors each morning as well as the beautiful clear glass offices that overlooked the Atrium, the meeting point and hub of the building. I soon became interested and wanted to know more about the legal documentation I was regularly typing up for the lawyers. I recollect my friend and colleague Sharon Squires advising one morning in an animated tone that she had embarked on an ILEX Course (now known as CILEx; Chartered Institute of Legal Executives) and was determined to qualify via this route as a lawyer. In awe of such an undertaking and prospect, I decided to find out more and learnt that it was possible to rise from secretary to qualified lawyer through this route of part-time evening studies – importantly enabling me to continue to earn whilst I studied and progress my career. One sunny afternoon in September, I embarked on the Institute of Legal Executives part-time evening studies at Kingsway College. Initially, I found the course hard; committing to classes and completing homework whilst juggling work and a social life did not come naturally. However, I found my best study time was at the weekend, when I was free of work commitments. After a well-deserved morning lie-in and a hefty breakfast, I took to my books, breaking down my weekly studies into key points to note, landmark cases and diagrams to assist my understanding. At the end of each chapter, I produced a bundle of crib cards containing key facts. I read my crib cards whenever I could – on the tube to work, during my lunch breaks and sometimes (when coming up to exams) in the bath. By Saturday evening, I had managed to complete a sufficient amount of study, my weekly shop, and cleaning and washing duties. I felt virtuous and deserving of my Saturday nights out with friends. I believe my commitment to my Legal Executive studies, which I drew attention to on my CV, and the increasing knowledge it brought with it identified me as a motivated individual, interested in the law. I have no doubt these studies helped me in securing fresh employment in a private practice with a City-based firm, Watson Farley Williams and later Norton Rose. By chance and extreme luck, I was interviewed at Norton Rose by the highly capable and affable Helen Jorgensen, who like myself started her working life as a legal secretary and then developed into the role of (extremely competent) Legal Executive Lawyer. At Norton Rose, I was given the opportunity to develop my skills and forge a new role as a Legal Executive Lawyer, undertaking fee-earning work in the Corporate Immigration Department. To Helen, I owe much and will always be grateful. After four years with Norton Rose, I moved to Dale Langley Solicitors, where I branched out into Employment Law. I completed my Legal Executive studies and qualified as a Fellow of CILEx and then a Solicitor (gaining exemption from the traditional Solicitor’s training contract). Following the birth of my daughter Elowen, I sought a change and undertook PGCE teaching qualification at The Institute of Education, London University. Following in the footsteps of my mother, a biology teacher of 25 years’ standing, I found the classroom environment a natural fit and undertook brief employment as an Employment Lecturer at Middlesex University and then University of Westminster, where I continue to head up the CILEx programme. Our University of Westminster CILEx programme is run on a part-time evening basis, designed for those wishing to qualify as Chartered Legal Executive Lawyers whilst being able to work. I am heavily involved in the teaching and oversee the running of this programme – a perfect fit for me. Over the past ten years, it has been my pleasure to help a multitude of students on their CILEx journey (most of whom start life at Level 3 year 1 as secretaries) to qualify as fully fledged Legal Executive Lawyers. It is a joy to see students develop and grow both professionally and personally, like I managed to. I thrive on being able to use my experience and knowledge to reassure and help students achieve their objective and fulfil their potential. If you would like to meet me to ask any questions about my experience or the CILEx programme, please come to one of my CILEx Open Evenings – there is no need to book in advance. My CILEx Open Evenings will take place on Monday 18 June, Wednesday 25 July and Monday 13 August from 7 to 8 p.m. in lecture room G.03 at The School of Law, University of Westminster, 4-12 Little Titchfield Street, London W1W 7BY, just 5 minutes from Oxford Circus tube. 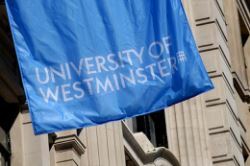 Alternatively, if you think you might be interested in finding out more about our University of Westminster CILEx programme, you are welcome to join one of our free CILEx Taster classes on 14-17 May. Should you be interested, kindly register your interest and find out about the range of classes on offer via https://www.westminster.ac.uk/cilex-taster-sessions-2018. Kate Sutherland, Senior Lecturer and CILEx Programme Leader at The University of Westminster.